I like a robust coffee, and I found a local North Carolina blend that suits me just fine. It's called, Cowboy Blend by Larry's Beans. When I sip a cup, it takes me back to my days on the Ponderosa with Little Jo, Hoss, Adam, and Ben. Wait, that was a TV show, but I felt like I was there with them. Bonanza was one of my favorite shows during my childhood on rerun TV. And because of my love for this family Western, I've been fascinated with the Old West for a long time. Others may be, too. Dude Ranches have gained popularity for family vacations. There are three categories: Working Dude Ranch, Dude Ranch (a lot of horseback riding, but not much labor, if any), and Resort Dude Ranch. I would be more in the Resort Dude Ranch category because I don't even know if I would want to get on a horse, but I know my kids would love it. In addition to horsemanship, ranches offer activities satisfying the recreational and social needs of each generation. Tennis clinics, mountain biking, rock climbing, zip-lining, bird watching, crafts, hiking, whitewater rafting, and golf; each can be enjoyed during a Western ranch vacation. Some ranches also offer known stress reducers like yoga, meditation, massages and other soothing spa treatments. If you want to go to a Dude Ranch. The Dude Ranchers Association has given me a list to help you get started on your cowboy adventure this winter. These ranches are also open in the summer, which are their busiest times so you need to start booking now. 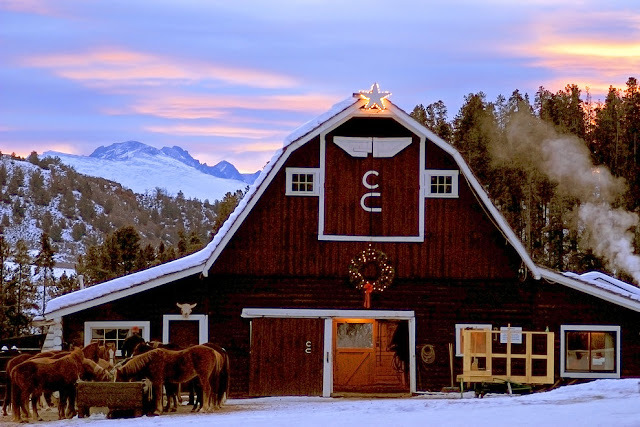 If you¹re looking for the ultimate winter escape right now, look no further than these all-inclusive dude ranches, each of which offers cold weather retreat in some of the most breathtakingly beautiful parts of the country. This list is for all budgets. Prices can be expensive at first glance, but they typically include all meals. The outdoor activities are just as invigorating as the inside comforts are cozy at Latigo Ranch. 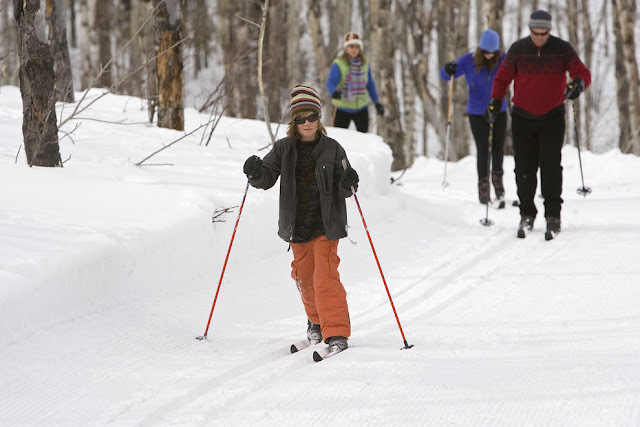 Experienced skiers know Latigo has some of the best snow conditions and finest cross-country skiing in Colorado. 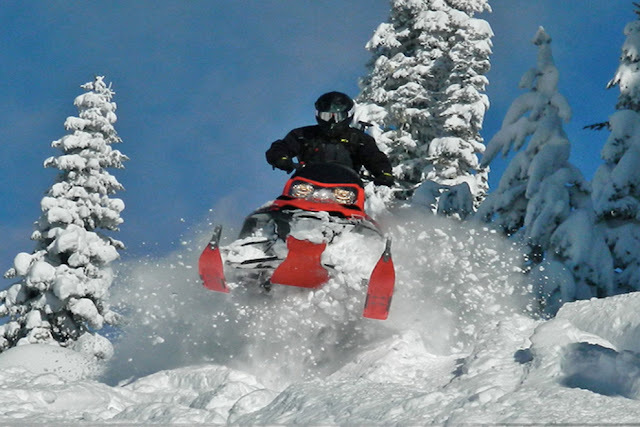 Other winter activities include snowshoeing and tubing or enjoy the quiet and seclusion from the front porch of a historic log lodge with a panoramic view of 100 miles of the Continental Divide. Things move a little slower at Bar W Guest Ranch in Montana, and that¹s just how it¹s meant to be. Treat yourself to horseback riding, sleigh ride dinners, square dances, snowshoeing, ice skating, dog sledding, and ice fishing. Cap off the day with a soak in the hot tub, a game of pool, or a relaxing book and some music. 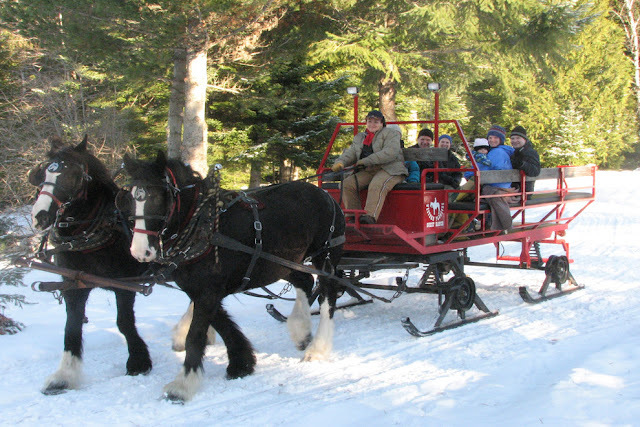 And don¹t forget to leave time to enjoy a magical sleigh ride accompanied by hot chocolate or even dinner. When the legendary snowfalls blanket the Elk River Valley in powder, The Home Ranch transforms into a sparkling white wonderland and becomes one of the most beautiful cross-country ski resorts in Colorado. Located just north of Steamboat Springs, the ranch offers some of the best Nordic skiing in the world, rustic accommodations, and a world-class chef that prepares what he calls, ³haute mountain cuisine² for every meal. A typical day during a winter vacation could even include helping feed the ranch¹s herd of 100+ horses with a sleigh. ****A Leigh Pick. This would be a dreamy stay. You could not go wrong at any Relais-Chateaux property. Dude Ranch and me. This is it for me. No question. 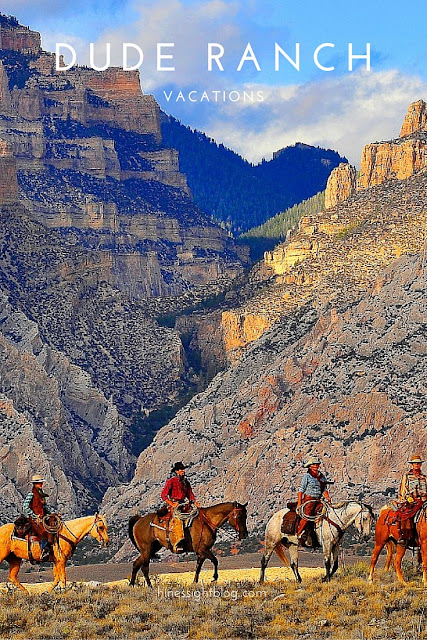 I never really thought I would want to vacation on a Dude Ranch until I researched this site. I'm going to start saving right now. A favorite activity of visitors to Western Pleasure Guest Ranch in North Idaho is a scenic horse-drawn sleigh ride powered by one of the ranch¹s draft teams. A two-mile loop trail takes passengers through a dense forest, treating them to fantastic views of the Selkirk Mountains. Sleighs are available in sizes ranging from two-passenger to 12-passenger. Western Pleasure also has ski trails for all levels. 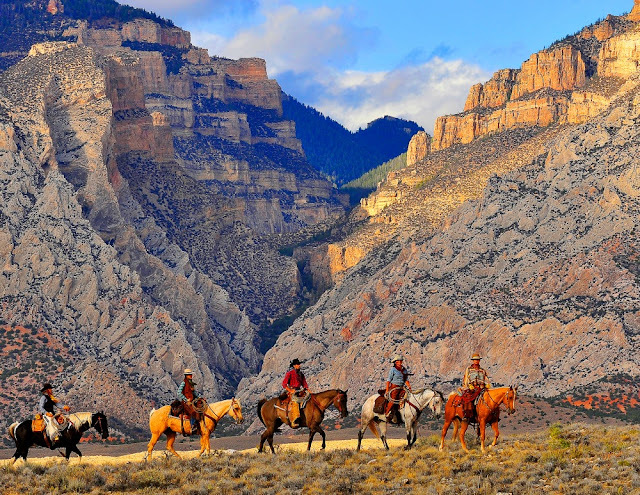 Located in central Idaho, just south of the Seven Devils mountain range, Seven Devils Lodge Guest Ranch lies in a unique area, neighboring jutting canyons, high desert, and soaring mountains. It offers some of Idaho¹s finest backcountry boondocking, with terrain for all levels of riders. The ranch tailors the experience to match each guests¹ riding style and even offers Back Country Basics riding clinics for those looking to improve their skills. See the West the way it was meant to be seen ­ from the back of a horse. Hideout Ranch's strategic location along the Arizona-New Mexico border provides easy access to thousands of miles of mountain and high desert riding trails ­ trails no other ranch in Southeastern Arizona rides. Prepare to let your stress melt away in the bright blue Arizona sunshine and crisp, clean mountain air. Travel back in time to the era of the cowboy at this unique ranch, which is set up like an 1880s Western frontier town. Each of the ranch¹s 18 rooms has a special Western theme and is decorated in turn-of-the-century style. Explore miles of the open country by horseback, enjoy live music around the campfire, or take a walk to the monument of Ed Schieffelin, the founder of Tombstone, located right on ranch property. The ranch offers trails for all levels of horseback riding....*A Leigh Pick for a night or two just because it reminds me of that time that the Brady Bunch went Out West. I would spend the rest of my time here in Tucson. There are more than 100 members of the Dude Ranchers’ Association in the Western US and Canada. Each is a little different but each DRA dude ranch vacation. Check out the website at www.duderanch.org. Today's post is editorial only, and I have not personally visited a Dude Ranch, but I now want to go to The Home Ranch. Pin now for future planning. Can't get to a Dude Ranch right now? Be sure to sign up to win a bottle of Peace and Calming Blend Essential Oil. It's almost like going on vacation. Almost.